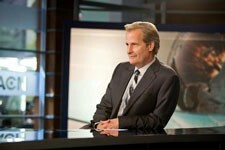 If you’re expecting to see clips from season two of HBO’s The Newsroom, you’ll be seriously disappointed with this new trailer. Instead of footage from season two, this is an artsy piece set in the desert without dialogue but with the cast giving clues to relationships. Confused? Don’t be. You can expect to see more actual clips as we approach the return of the critically acclaimed series on July 14, 2013. And in case you’re wondering, the song in the trailer is “Can’t Pretend” by Tom Odell.